Are you experiencing problems with your sink or faucet? Here at Rodger’s Plumbing, we provide sink & faucet Repairs in Dallas, Texas. Over time, sink and faucet problems can cause damage to your bathroom, affect the property value, and even your health. If you cannot remember the last time you got a new faucet for your sink, it may be time for an update. We can help you improve the quality of your sink for you and your family. We can recommend several brands of faucets, if you are looking to install a new one. We also carry a variety of faucet parts on our trucks if you are only in need of a repair. 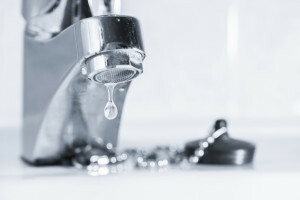 Slow and small faucet drips can cost you when it comes to your water bill, so it is important to not ignore the drips and seek professional help. Updating older bathroom fixtures can improve not only the property value of your house with a nice upgrade to the room, but also add possible water saving technology. If you have a sink or faucet problem in Dallas, Texas, call Rodger’s Plumbing. We can help you with any needs you have, whether it is installation, repairs, or replacements, in the following towns of Frisco, Hebron, Mckinney, North Irving, North Mesquite, Rowlett, Murphy, Wylie, Sachse, Garland, Allen, North Dallas, Richardson, Plano, Carrollton, Addison, Farmers Branch, Coppell, Highland Park, and University Park. Call us at (972) 931-1021 for Dallas, Texas Sink & Faucet Repair.